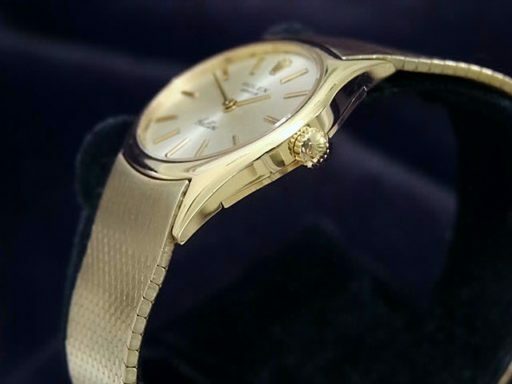 This is a breathtaking Ladies 26mm GENUINE ROLEX Solid 18k Yellow Gold Cellini w/Silver Dial ref #3802 that has been fitted with an aftermarket solid 18k yellow gold bracelet. 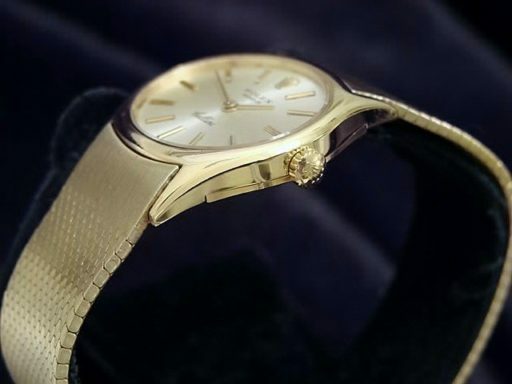 It is in MINT CONDITION and LOOKS NEW ON THE WRIST! It comes with the Beckertime 1 Year Warranty & 100% Lifetime Trade-Up guarantee! This type, if all factory, would sell brand new for more than $10,000 plus tax today. Movement Rolex manual wind mechanical movement is running strong and keeping excellent time. 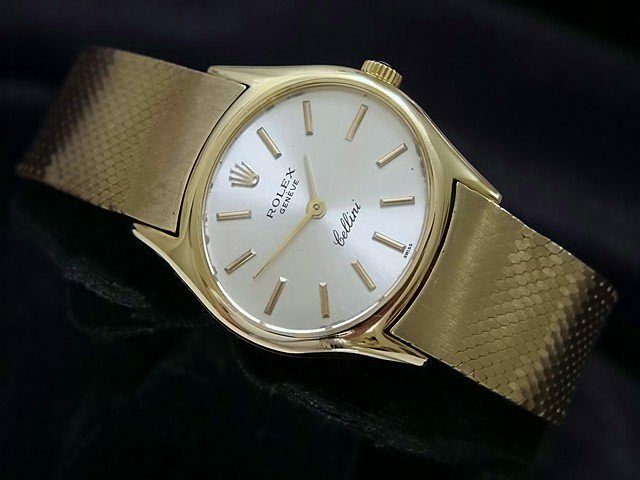 Dial Rolex silver dial with raised yellow gold stick markers is in pristine condition. 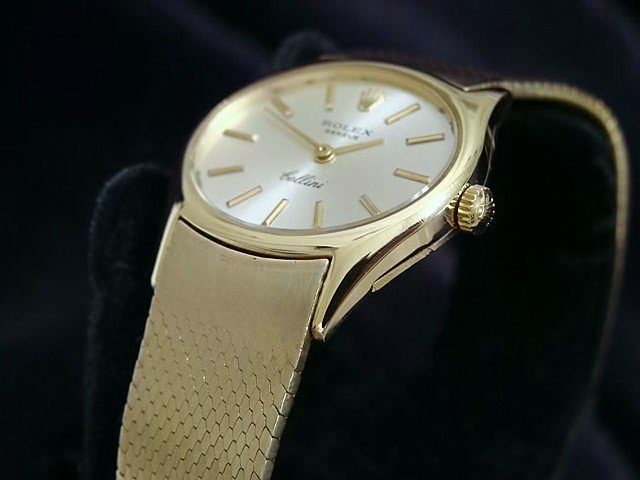 Case Rolex solid 18k yellow gold case is in mint condition. 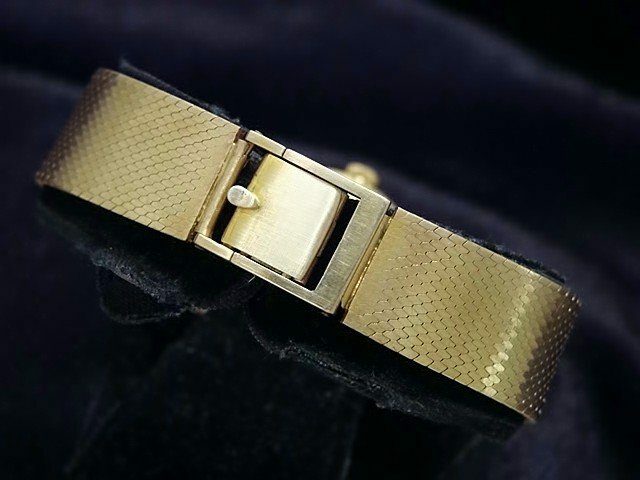 Band The solid 18k yellow gold bracelet is in perfect condition. This band is not made by Rolex. It is a custom Italian made band of the highest quality and hallmarked 18k on the inside of the clasp.